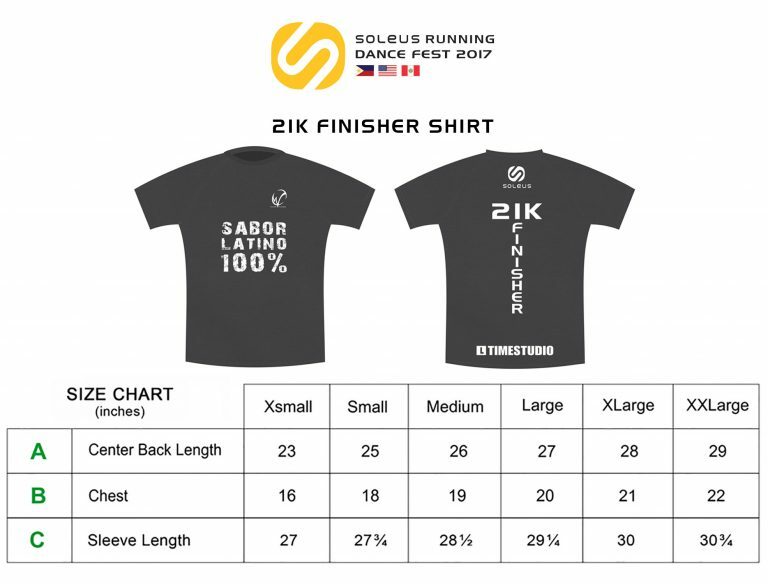 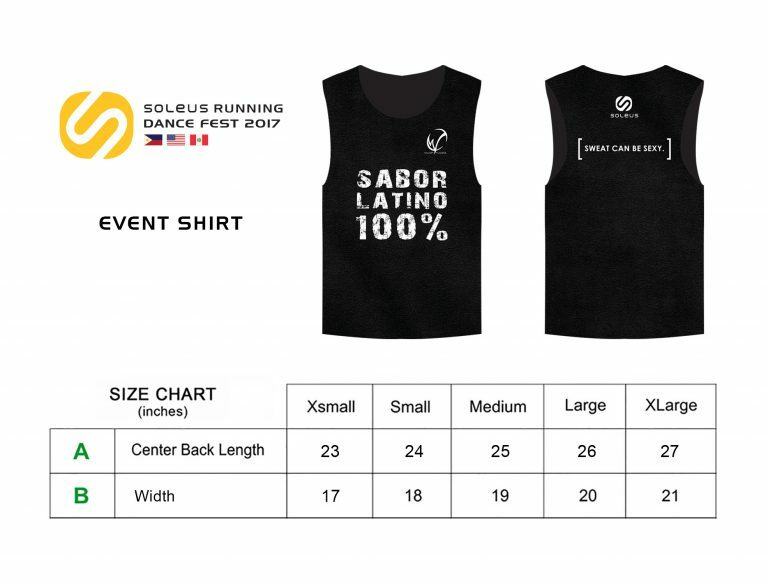 Soleus Running Dance Fest will be held at SM Mall of Asia By The Bay on February 4, 2017. This event is organized by RG Events. 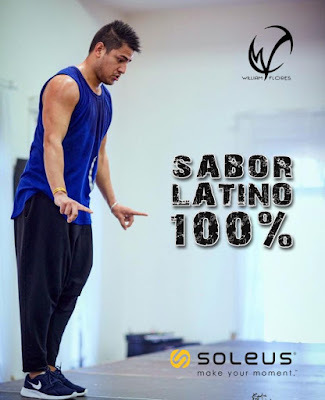 Dance session with Peruvian International Fitness Presenter William Flores will begin at 6:30am. 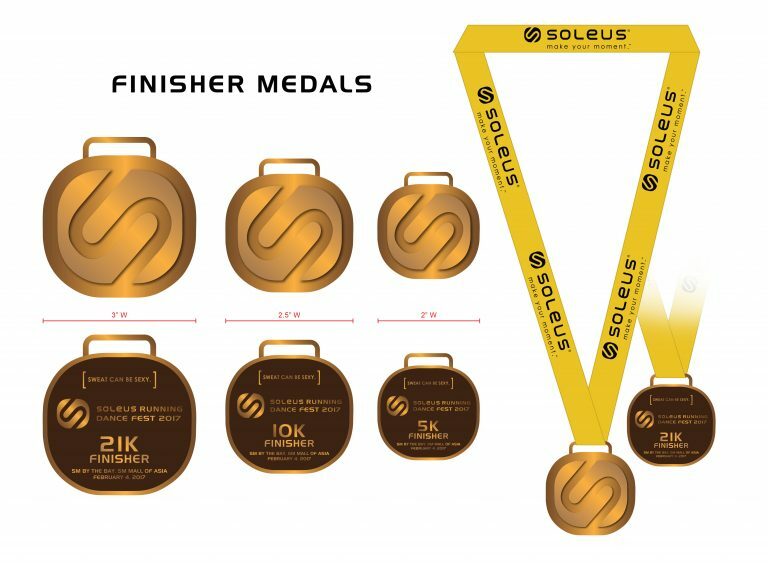 - TOP 3 FINISHERS (Male & Female) will receive Soleus watches and other sponsor’s products and MEET & GREET Session with Peruvian International Fitness Presenter, WILLIAM FLORES. 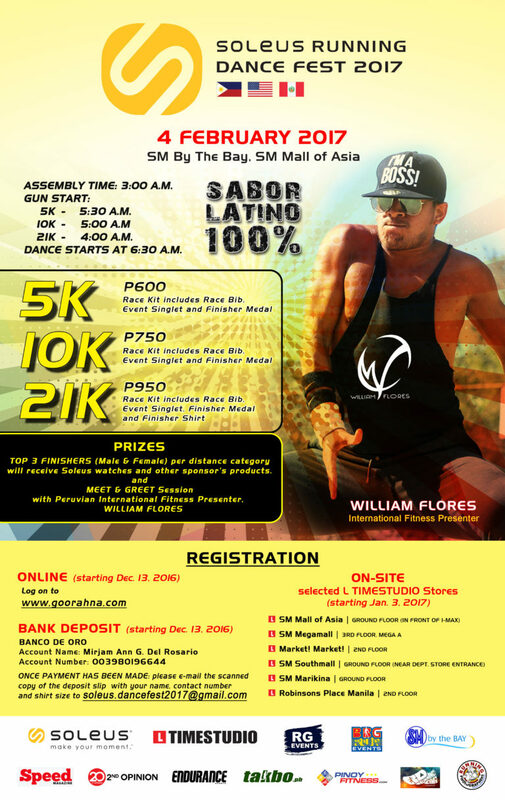 Please bring original copy of DEPOSIT SLIP, BANK TRANSFER SLIP, CLAIM VOUCHER (issued at on-site registration) and printed copy of the on-like registration confirmation.